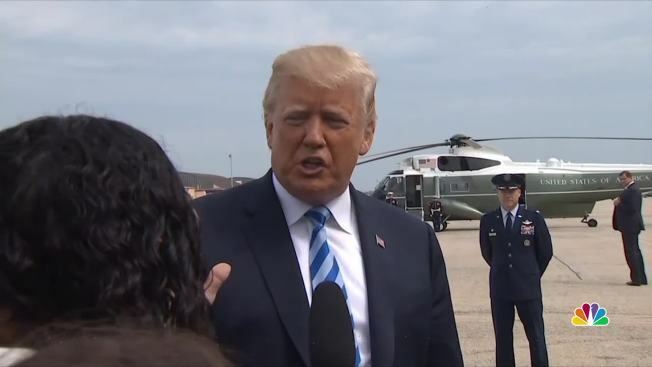 President Donald Trump said Wednesday that he believes special counsel Robert Mueller's report should be released to the public, even as he disparaged its very existence as "ridiculous." "Let it come out, let people see it," Trump told reporters as he left the White House on Wednesday for a trip to Ohio. "Let's see whether or not it's legit." Mueller is expected to present a report to the Justice Department any day now outlining the findings of his nearly two-year investigation into Russian election meddling, possible collusion with Trump campaign officials and possible obstruction of justice by Trump. Mueller is required to produce a confidential report that at a minimum explains decisions about who was and was not prosecuted. Attorney General William Barr is then expected to produce his own report for Congress and has said he wants to make public as much of Mueller's findings as he can under the law. Trump said he was personally looking forward to reading the findings, even as he scorned the fact that Mueller was empowered to write the report in the first place. "I just won one of the greatest elections of all time in the history of this country. ... And now I have somebody writing a report that never got a vote?" Trump said. 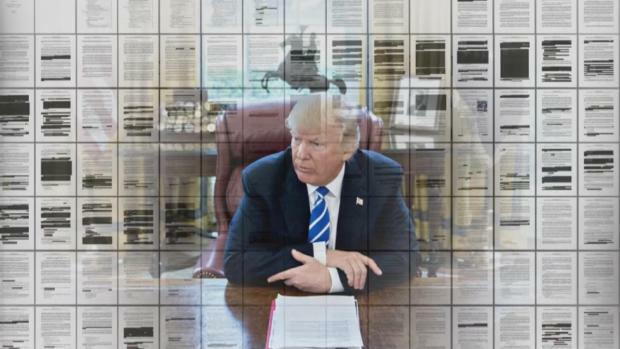 "It's called the Mueller report. So explain that because my voters don't get it. And I don't get it." Trump went on to mischaracterize the effort, saying "it's sort of interesting that a man out of the blue just writes a report." The House voted unanimously last week for a resolution calling for any report in Mueller's investigation to be made public. It was a symbolic action designed to pressure Barr into releasing as much information as possible. Trump and his outside attorneys have worked for months now to undermine Mueller and cast doubt on his eventually findings. Trump continued that effort Wednesday, calling Mueller "conflicted" and criticizing the lawyers who have worked on the case. Though Mueller's office has said nothing publicly about the timing of a report, several prosecutors detailed to Mueller's team have left in recent months, suggesting the investigation is winding down. Trump, for his part, said he had no idea when the report would be released, but maintained his innocence, saying there was "no collusion" and "no obstruction. There was no nothing." "With all of that being said," he added, "I look forward to seeing the report."